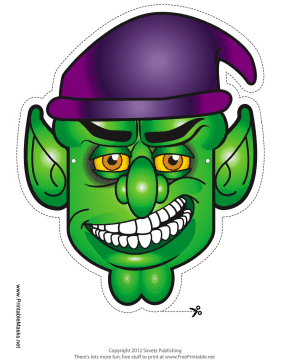 A boy goblin mask like this one is perfect for a quick goblin costume. His big smile, pointy ears, and purple hat are both frightening and amusing. This mask is free to download and print.